Childhood obesity is one of the most daunting global public health threats, with the projected cost to the UK National Health Service (NHS) estimated to be as high as £9.7 billion per year. Greater numbers of children are becoming obese, and this is happening at an earlier age. Obese children are more likely to become obese adults, and are at risk of developing obesity-related health problems such as type 2 diabetes, heart disease and some types of cancer. Rather than treating obesity, the key to improving the future health of children must lie in the prevention of childhood obesity. We have developed a mobile phone application (called “Healthy Infant Weight?”) that can be used to calculate the risk of childhood obesity at 2 years of age in infants currently aged between 4.5 and 13.5 months, based on birth weight, current weight and (optionally) mother’s BMI. 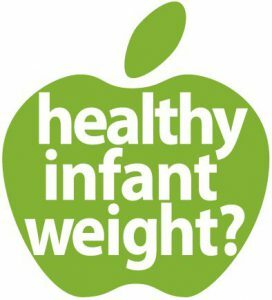 Medical advice should be sought if there are concerns about an infant’s weight.